A potential home buyer strolls past real estate signage outside of a property during an open house in Phoenix, Arizona. The allure of owning this beautiful home draws the buyer inside where realtors stand in attention. Many buyers are there, but what legitimate buyers don’t realize is that some open house attendees have no intention to purchase a home – they’re out to dupe you. Americans are falling victim to wire fraud in real estate transactions in alarming numbers. Whether it’s an individual wanting to sell a house they genuinely don’t own in a private transaction, or an offshore scam artist wanting earnest money wired to a Grand Cayman account, this crime is growing exponentially. For the defendant accused of this white collar crime, however, defenses can be raised even if they’ve been caught red-handed. 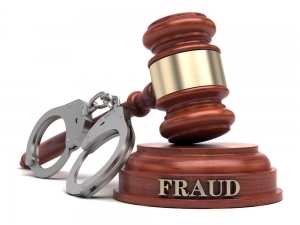 Individuals who are accused of real estate wire fraud will often assume the identity of either the title agent, or realtor. By infecting either party’s email with malicious viruses that compromise access to their email accounts, perpetrators can then assume communication with buyers, who are none the wiser. Once it’s time to close the real estate transaction, funds are instructed to be wired into an account owned by the fraudster – not the actual escrow account of the title agency. From there, communication is cut off, the funds are moved to another account and spent like nothing happened. Although the FBI announced they’re battling email schemes head-on, crimes of this nature are happening too frequently to catch every criminal. What’s worse is that innocent people are often caught in the middle, getting charged with crimes offshore criminals are sticking them with. 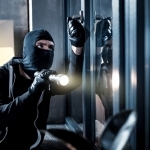 Because wire fraud is the fastest growing real estate cybercrime in America, indictments are being handed down as quickly as these crimes are occurring. Not that all arrests warrants are warranted, of course, but FBI investigators are notorious for arresting now, and asking questions later. 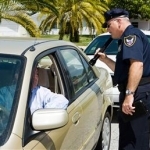 Once arrested, some investigators may try to build a circumstantial case against you. North Carolina can also charge persons with wire fraud in real estate transactions, which could net the defendant up to 3 ½ years in NCDC. 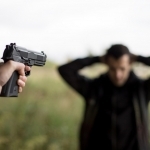 Of course, innocent persons may be exonerated with proof, but remember, today’s breed of criminals are good; saving any and all communication you’ve received may help your case should you be wrongly adjudicated a fraudster. Any fraud indictment that sticks will wreak havoc on your professional career; it may force your current employer to fire you. Once that’s done, you’ll be forced to work where you can. The potential for losing your home, family and way of life loom large in these cases, so it’s important to fight accusations tooth and nail, especially if you believe you’ve been erroneously accused. 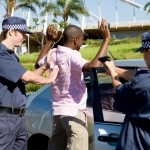 Those who’ve been caught up in real estate wire fraud, but have performed no acts to merit an arrest, should immediately retain criminal defense. As wire fraud can net an individual up to thirty (30) years in Federal prison, take these allegations seriously. Provided your attorney with proof that you’ve done nothing wrong, even show them your IP address so it can be compared to the perpetrators. Even if you’re the smoking gun behind the real estate wire fraud, there are defenses that can be raised to benefit your case. Be forthcoming with your attorney, stay silent in the presence of law enforcement, and let due process run its course. Most attorneys will fight for a complete acquittal, although anything other than jail time should be considered a blessing if overwhelming evidence exists. 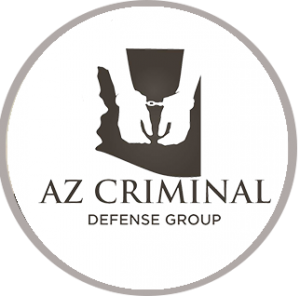 Click here for information on robbery in Arizona. 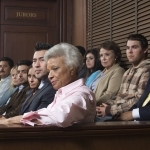 How Important is Voir Dire?